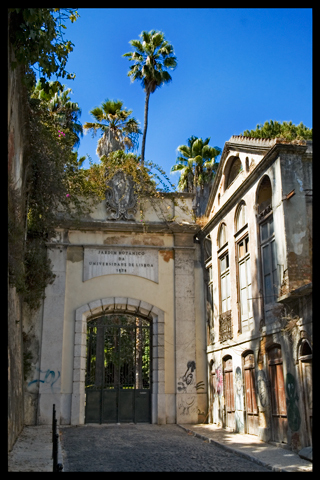 This is the entrance to the botanical gardens of the university of Lisbon. It felt slightly neglected but I quite liked it. Too bad it was closed so we couldn't go in.